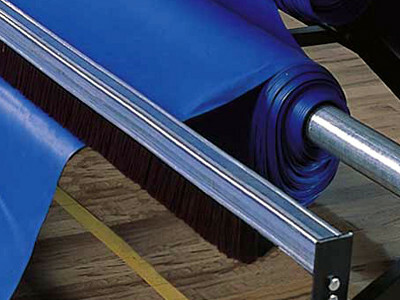 With the Master Series CoverClean Brush System accessory, the cover is swept on both sides simultaneously as each cover section is cranked back up on its roller. 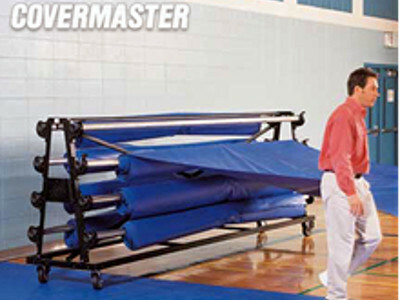 If time is of the essence in your gym or if sufficient labour is not always available, you may want to consider purchasing the optional, patented, Master Series CoverClean Brush System, with a single set of dual brushes. 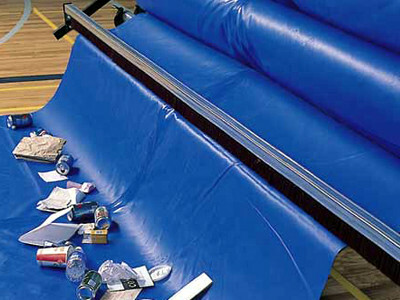 This special item greatly reduces the time that is otherwise needed to manually sweep the cover. 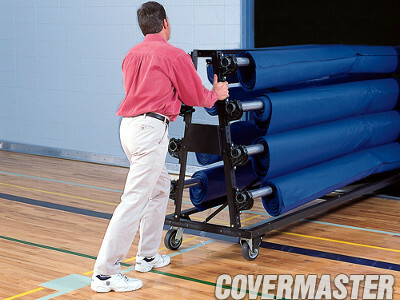 The patented, Master Series CoverClean is an optional item that sweeps the cover as you wind it back up on its roller for storage. 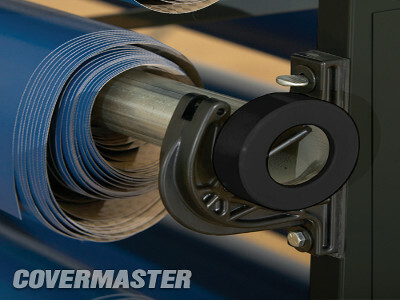 This patented accessory is easily installed on any Master Series CoverMate I. 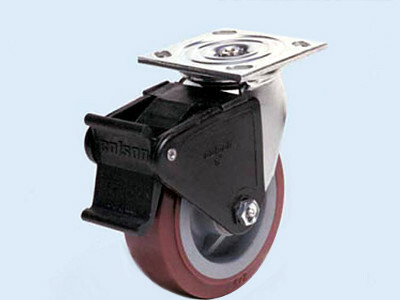 The brush head can be adjusted to match the angle of cover travel. The patented Master Series CoverClean brush assembly consists of a brush head with two rows of 3” bristles. One row of black styrene fibre is for fine sweeping, the other of red polystyrene is for heavy debris.